Hello everyone and welcome to another cartridge showcase! 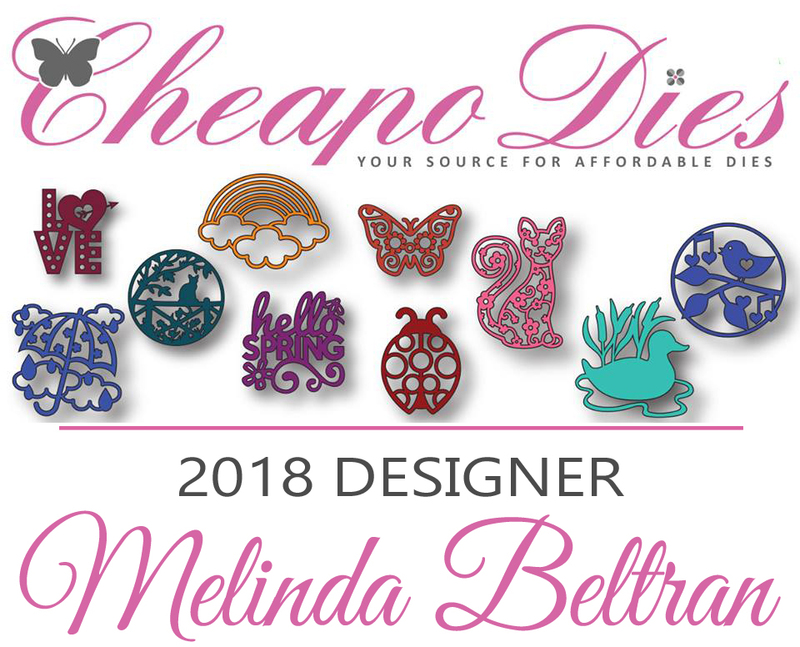 This week the ever so talented Suzanne from Cricut Crafting Grammy is sharing some great projects from the cartridge TEDDY BEARS ON PARADE. 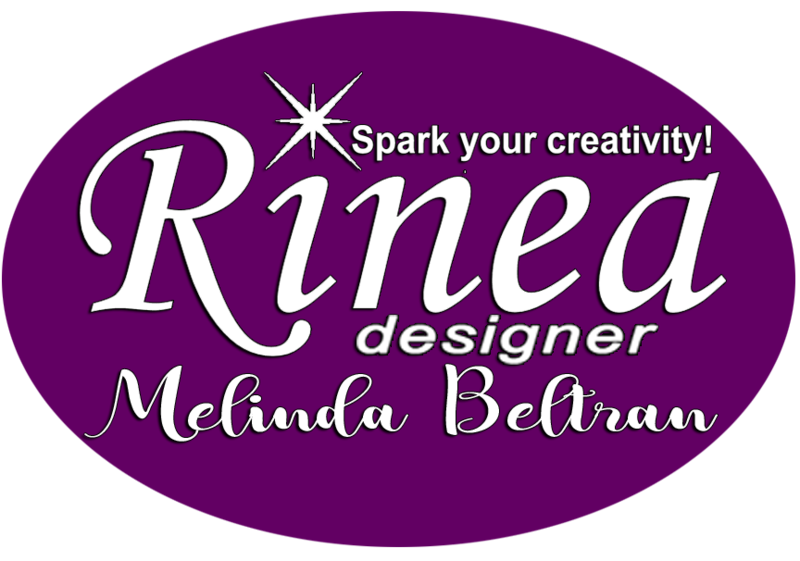 You will see some of the cutest projects for all seasons!! Welcome to our Market Fresh Mondaze cartridge showcase! 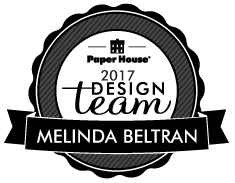 This is Suzanne Design Team member at My Paper Crafting here to share the adorable new Cricut cart Teddy Bear Parade. I have always loved teddy bears and these are so darn cute. To make these quick and easy I have cut out a small pile of 4 and 5 inch bears so I am ready to dress them for any occasion. 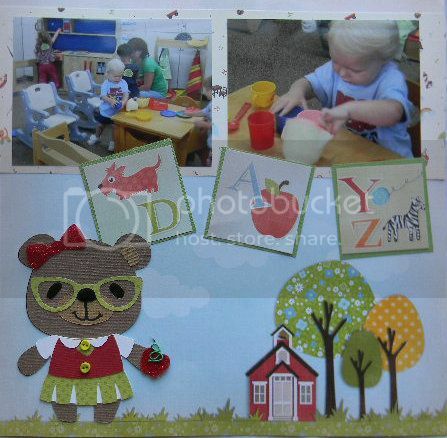 For the first project I created a layout using the adorable little school bear for a layout of my granddaughter's first day of preschool. The bear is cut at 5 inches. Here is a close up of the bear. Here is the first bear I made making a Halloween card and some googly eyes. Before we know it Valentines will be here. 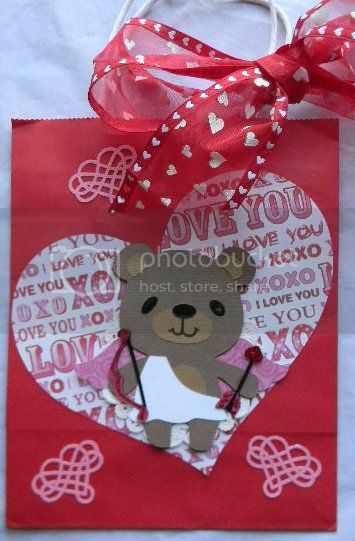 I decorated this cute bag with a heart from Doodlecharms and the cute little cupid bear. The fancy hearts are a MS punch. 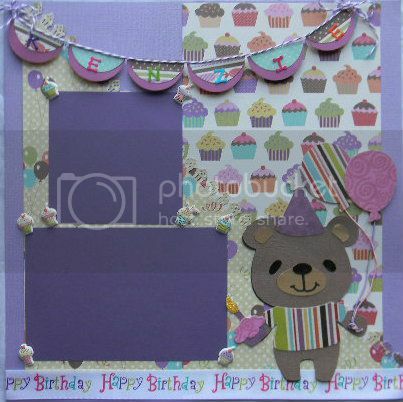 Don't have the pics yet but we celebrated Kenzie's 2nd birthday a few weeks ago so I made another layout using the adorable birthday bear. 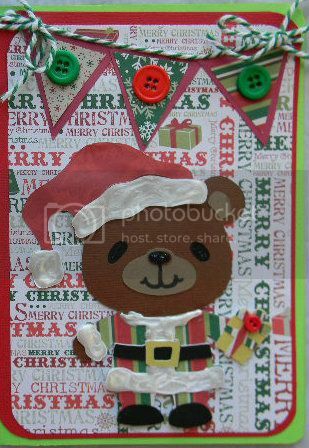 And here is the adorable Santa bear. 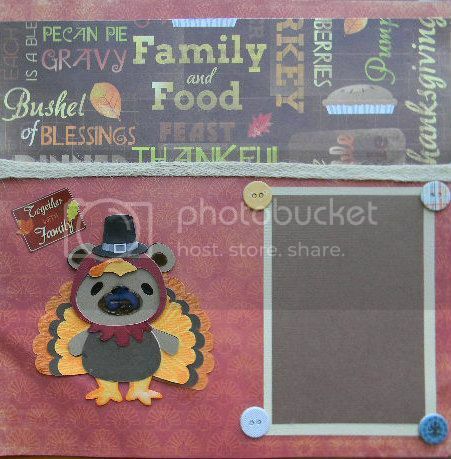 I also created a turkey bear for a layout and a Thanksgiving card. 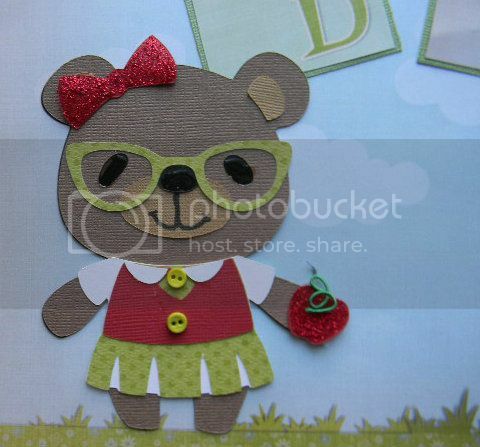 Hope you enjoyed the Teddy Bear Cricut cartridge showcase. It's a fun fun cart and I am sure I will be using it a lot. Are these not just the cutest little teddy bear projects ever!!! 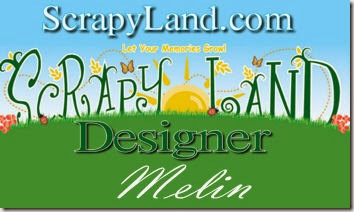 Please head over to Suzanne's blog where you will see so many more fabulous projects she has done. You can visit Suzanne HERE. 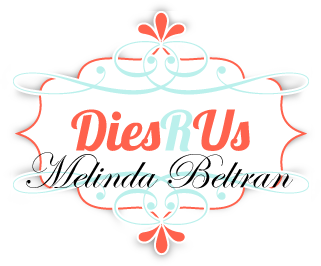 Have a blessed day and join us here each day for more exciting ideas. Too, too cute! 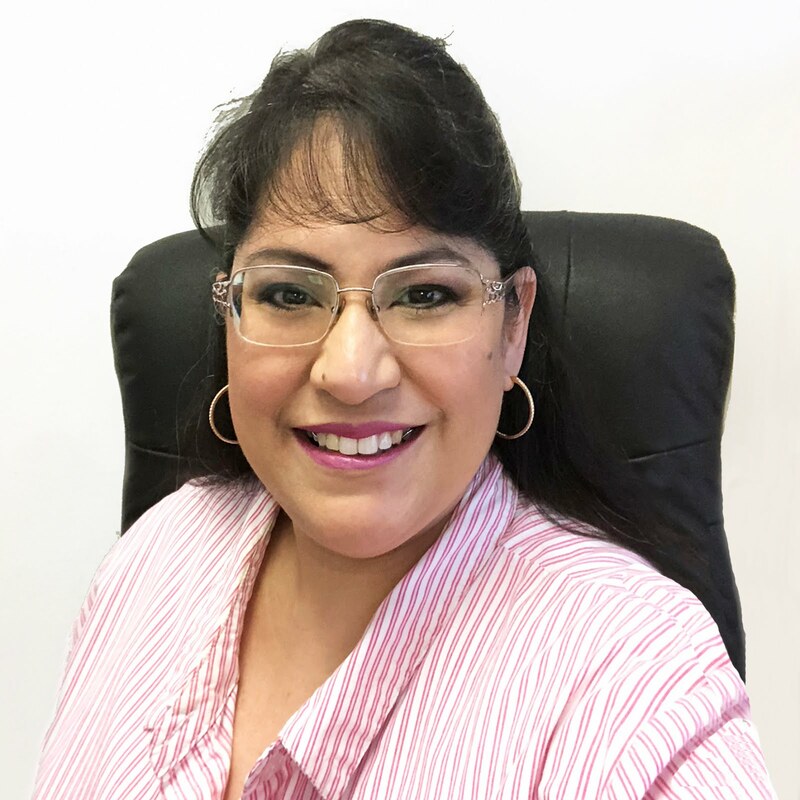 Great showcase, Suzanne -- thanks for sharing it with us! What a fabulous showcase! Thank you for sharing this great cartridge and all your wonderful ideas!! !